CVR offers Pick-Up and Cargo Van rentals for short and long-term rental. Requiring a major credit card with an $80 security deposit, each rental comes with a base set of free miles per day and any additional mileage costs less than industry standards. CVR also offers fully electric GEM Vehicles configured with 2, 4, and 6 seats (Some models offer a utility bed feature). Rental Pro, affiliated with CVR, owns and operates a Car Wash consisting of two automatic bays, three manual bays, and industrial vacuum stations. Automated "Touchless" Bays feature: under carriage wash, wheel and rim brushing, front and rear creep technology, high pressure wash, and vehicle dryers. Self-Service "Manual" Bays feature: spacious bays, high pressure wands, foaming brushes, and spray wax. Encouraging you to "Take Pride in Your Ride" – the Car Wash offers an economical way to care for your vehicle’s appearance. 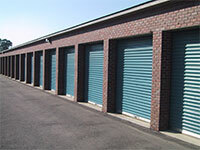 Central Virginia Rental offers On-Site storage units for use at the site where you need it most. Each container is made of steel and has a storage area 8 feet wide and 8 feet high. The units come in 10 feet, 20 feet, and 40 feet lengths. Additionally, office units and office/storage units are available. All units are available for short and long-term rentals. Please call 540-932-7368 for more information. Rental Pro, affiliated with CVR, offers mini-warehouse storage solutions in Fishersville, VA. Units are within a security fenced area that is video monitored. Unit sizes are: 5x10, 10x10, 10x15, 10x20, 10x30, 10x60, and 20x60. Contact 540-943-8173, option 3 for pricing and availability.